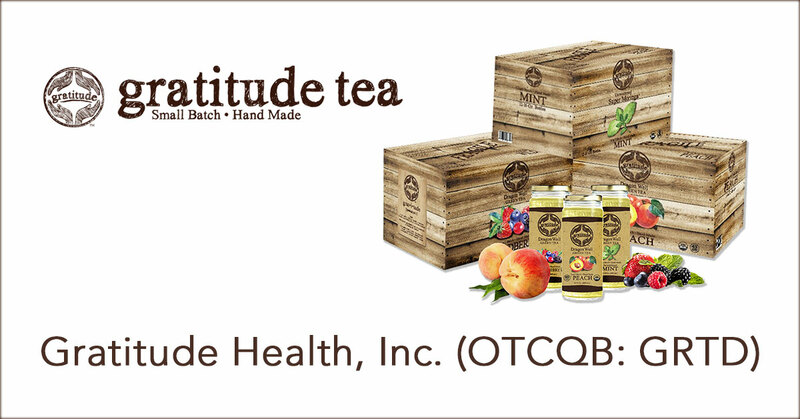 Gratitude Health, Inc. is a beverage manufacturer and marketer providing great-tasting, organic, functional drink offerings specifically intended to promote and support nutrition for healthy aging. It’s lineup of RTD Dragon Well Green Teas deliver a beverage-industry leading 417 mgs of polyphenols per bottle and its new ‘Keto Friendly” meal-replacement shakes deliver perfectly balanced healthy fats and proteins intended to fully support the ketogenic diet and lifestyle. Gratitude Health, Inc. is headquartered in Palm Beach Gardens, Florida and New York, New York. The Company was founded in 2017 by CEO Roy G. Warren, a 20-year leader in the beverage sector. Roy is a motivated cancer survivor and determined to forward options addressing metabolic health. 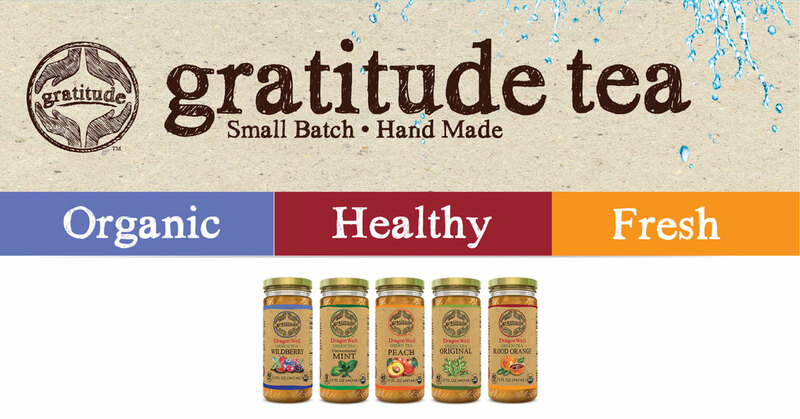 Gratitude was co-founded by President and COO Andrew Schamisso, a 15-year beverage veteran, best known for bringing to market America’s first RTD white tea, Inko’s White Tea, which he sold in 2014. Gratitude Health Inc. uses the most famous green tea in the world: DragonWell (or “Longjing” as it is called in China.) It’s subtly and naturally sweet without any grassy aftertaste commonly associated with most green teas. The tea is pan-roasted and produced mostly by hand. It comes from Hangzhou, which is the capital of Zhejiang Province 112 miles southwest of Shanghai. Gratitude’s five flavor of teas; Original, Peach, Unsweetened Mint, Wildberry and Blood Orange, are 100% USDA Organic and each of the flavors’ “clean” labels have no more than five total ingredients each. In addition, Gratitude Health Inc. plans to launch KetoRefuel™ , the world’s first Ready-to-Drink (RTD) line of ketogenic meal-replacement shakes in the second quarter of 2019. The first drinks to rollout in the KetoRefuel lineup will be Chocolate, Vanilla and Caffeinated Mocha all in 16.9 oz, shelf-stable Tetra Pak® containers, which are re-sealable and have been consumer-tested for ease of use. The company has engaged a leading scientist, with advanced studies into the ketogenic diet, to create this proprietary and strategically balanced Fat-to-Protein-to-Carbohydrate formulation that refuels and supports the body’s ability to naturally burn fat for energy and provide continued maintenance for those consumers already in ketosis. 2017 continued to be a year of growth for the United States tea industry. Consumption of tea continued to penetrate all demographics. Millennials, Gen Xs, Gen Ys, Baby Boomers, all ensure that tea will continue to be on the front burner for years to come. Ready-to-drink (RTD) tea continues to grow and is estimated to have grown about 3 – 4% and account for some 45.7% of the tea market share in 2017. Category volume will exceed 1.7 billion gallons in 2017. While more expensive than bagged tea on a per-serving basis, consumers continue to reach for RTD teas for their flexibility, convenience and as a healthier alternative to sugary beverages. Once again, the U.S. is seeing further market separation between premium, high quality RTD’s and the value segment. Private Brands are growing in both volume and dollars. Encouraging is the fact that tea continues to grow, driven by its healthy positioning, in an environment in which water has surpassed CSD’s in sales. The linkage between tea and its healthful properties remains fundamentally strong. What Makes Gratitude Health Inc. Different? Doubly certified by OCIA and QAI Organic Authorities. Upcylable, super-ecofriendly bottles in five collectible designs. A return to super-premium-category RTD Green Tea. Dragon Well, not only a cool name, but the world’s most popular Green Tea. Minimalist label design in sea of copycat label colors. Created with the health-conscious consumer in mind. THE MOST UNIQUE SINGLE-SERVE OFFERING ON THE MARKET. Gratitude Health Inc. is in its early stages, but has already found shelf space in over 150 retail outlets in New York City. Currently the stock is priced under .05 and is fully reporting on the OTC.QB. With just over 10 million shares unrestricted in the issued and outstanding shares, this still is tightly held and relatively unknown company. With a new product launch eminent and an expanding distribution channel, Gratitude Health Inc. warrants a closer look by all microcap investors.